Last October, Memphis College of Art presented the exhibition SunRise/SunSet: Works from Studio Nong. The exhibition was comprised of works created by Jesse Fisher, Misty Gamble and Scott Seebart, all faculty members at the Kansas City Art Institute, and Leandra Urrutia, associate professor of Studio Art at MCA, as part of a six-week residency and cultural exchange with four sculptors who are professors from the Guangxi Arts Institute in Nanning, China. The second part of that residency will take place this month as professors Shanwu Huang, Bangmin Nong, Jigang Qin and Zhenhai He, travel from China for a six-week residency in the United States. The first week of the residency will take place at MCA, with all of the artists living on campus and working together in MCA’s studios to promote cultural exchange and artistic dialogue. Local artists and students will be invited to the studios to observe how the sculptors develop their 3-D work, providing an opportunity to interact with artists who have more than 5,000 years of artistic lineage influencing their work. 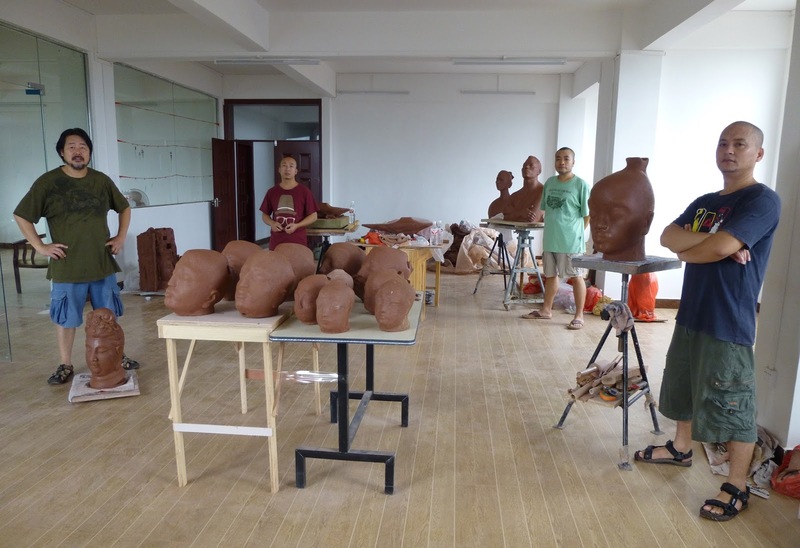 An artist talk with the Studio Nong participants will take place on Friday, July 24, 6:30 p.m. in Myers Auditorium and MCA’s ceramic studios will be open to the public on Thursday, July 23 between the hours of 9 a.m.–noon; 1:30–5:30 p.m. and 7–9 p.m., and Sunday, July 26 between the hours of 9–10:45 a.m.; 2:30–5:30 p.m. and 7–9 p.m. for those who would like an opportunity to view the work in progress and speak with the artists. While in Memphis, both the American and Chinese artists will have the opportunity to share in cultural experiences that are unique to Memphis, including sampling the city’s legendary cuisine and visits to the Metals Museum and Graceland. The artists will then travel to the Kansas City Art Institute for the remaining weeks of the residency. “I hope that the extension of the program to the U.S. continues the positive relationship and opens the door for more residencies,” said Urrutia, who spearheaded the MCA portion of the residency. “I would like this program to become a recurring cyclical exchange between these institutions.” The artists’ week at MCA is sponsored through a grant from FedEx. The models and maquettes created during the residency will be produced on a larger scale and exhibited in the SunRise/SunSet 2016 exhibition which is scheduled to take place in MCA’s Hyde Gallery Jan. 8–Feb. 5, with later dates to be announced at the Kansas City Art Institute and the Weinberger Fine Art Gallery in Kansas City and the 50thConvention of the National Council on Education for the Ceramic Arts.